The Foundation made major efforts to inform professionals of the benefits of the intensive, extended groups. We have already mentioned that in 1954 the first edition of Introduction to Psychoanalytic Group Therapy appeared. In 1956 the Foundation published The Practice of Mental Health Groups (de Schill and LaHullier 1956), offering additional details on the method. Furthermore, the treatment was presented at many conferences. A few of the earliest ones were the Second International Congress of Group Psychotherapy in Zurich, 1957; the Sixth International Congress for Mental Health in Paris, 1961; the Sixth International Congress of Psychotherapy in London, 1964; the 23rd Annual Conference of the American Group Psychotherapy Association in Philadelphia, 1965; and annual meetings of the American Mental Health Foundation. 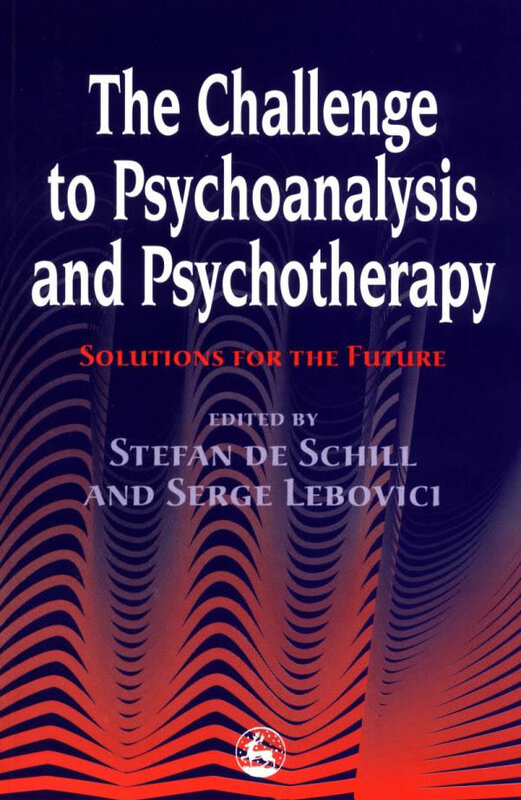 Of course, the principal purpose of this chapter is to acquaint psychotherapists with the intensive, extended group method in the hope that they will adopt the approach and innumerable patients will eventually benefit from it. A great many emotional disturbances, even those of a severe nature previously not considered amenable to group psychotherapy, can now be treated in this particular therapy form. Since patients are seen almost exclusively in group sessions, those who can pay for only the equivalent of one individual session a week are able, for the first time, to receive intensive and extended psychotherapy. But let us for a moment put those important considerations aside. By far the most important factor is that if practised by an expert psychotherapist, the treatment modality offers unique and unequaled possibilities for achieving success. For the therapist to prepare prospective patients for group psychotherapy, he needs to give them detailed information about the procedure. Before 1954, about two-thirds of the people to whom the Foundation recommended group therapy either disliked the idea or rejected it outright, insisting on individual therapy. After that date, however, when the printed information was given to patients selected for the extended groups, less than a third of them objected. Acceptance of group therapy developed rapidly in the next 15 years or so. Between 1954 and 1972 some 80,000 copies of Introduction to Psychoanalytic Group Therapy were sold. In 1973 La Psychothérapie de Groupe, prepared by the American Mental Health Foundation and the International Institute for Mental Health Research in Switzerland, was published under the auspices of the Library of the Paris Psychoanalytic Institute by Presses Universitaires de France. Such an event would have been impossible just a few years before. Unfortunately, while analytic group therapy reached a high point during that period, quite a number of undesirable forms of group therapy also made their appearance. Many people initially object to going into therapy with others because they dislike or fear people and because they feel that in a group they would not be able to speak freely about their problems. Such resistance is voiced even more frequently by patients who are being placed in the extended groups because they will have fewer individual sessions. The new patient who experiences anxiety needs to understand that his fears about entering a group are related to his problems and that it would therefore be advantageous for him to work those problems through in the group rather than avoid them. For most patients who receive the introductory printed information and whose anxieties and resistances are carefully handled, the initial period in the group is not difficult. The rare exceptions are the patients who become overwhelmed with anxiety when exposed to emotion-arousing situations that occur through interaction within the group. Such patients need the protection of the therapist to temper their anxiety and may be instructed not to attend the alternate meetings at first. Whether or not a patient selected for group psychotherapy initially resists the idea of group work, his therapist must take on the necessary, but often burdensome, task of preparing him for it. One patient after another will ask the same questions about the principles and practices of group psychotherapy. The therapist who conducts the intake interviews of an organization or clinic may react to the repetitive questions by becoming less patient and explicit than is necessary to sufficiently diminish the patient’s initial anxiety. Therapists in private practice who work with groups have the same problem. Experience in individual treatment does not necessarily reduce a patient’s questions about group therapy. In fact, anxiety over being placed in a new clinical situation and resentment against sharing the therapist’s attention with other patients frequently induce strong resistance against group work. The resistance is manifested by the expression of innumerable questions and objections. Since many of the applicants for referral through the Foundation were found suitable for extended group therapy, we gained considerable experience with the typical questions. As early as 1953 we felt that much unnecessary work could be eliminated for the therapist, whether he sees patients in a clinical or in a private setting, if he could give his patients literature explaining extended group therapy. Since patients frequently forget some of the information given them orally and tend to repeat questions, the literature is doubly useful. Patients about to join extended groups receive only two private sessions with the therapist before entering the group. During those sessions the therapist collects data so that he can tentatively evaluate the psychodynamics and help the patient overcome fears and misapprehensions about joining the group. In addition to the two individual sessions before entering the group, the vast majority of patients require only two to eight private sessions a year. Exceptions are patients who are confronted with severely traumatic situations. The information regarding format and technique that follows is principally directed to psychotherapists wanting to acquaint themselves with the procedure, but we have fashioned the text in such a way that a copy can be given to patients about to enter such groups. Part I can be given to patients to whom group therapy is being recommended. Part II can be given to patients who, after reading the first part, and possibly after further therapeutic assistance from their analysts, are willing to enter extended group therapy. For the convenience of the readers, the text has been arranged in question-and-answer form. 1. How do I know that I need professional help with my emotional problems? Everyone, no matter how stable and emotionally mature, can benefit from professional help to gain insight into his or her underlying emotional structure and functioning. People with emotional disturbances often misunderstand, or even ignore their manifestations and symptoms and do not take the proper steps to eliminate them. Some people hesitate to admit to themselves, much less to others, that they cannot cope adequately with their own emotional reactions. They may not realize that the inability to overcome emotional problems by oneself is by no means a sign of weakness or lack of intelligence. Direct application of will-power for such purpose tends to be useless. That is true even for those who know a great deal about psychology and psychotherapy. The following are some of the problems that indicate a need for professional help: difficulties in interpersonal relations, marriage and parenthood; loneliness and withdrawal; feelings of losing touch with reality; feelings of failure; general dissatisfaction with yourself or your life; inability to do things that you feel you should be able to do, such as concentrate, study or work; feeling compelled to do things that you do not want to do; frequent feelings of unhappiness; expectations that something bad will happen; continual worries and anxieties of all sorts; nightmares; depressed moods and sadness; persistent feelings of being persecuted, blamed or taken advantage of; pervasive feelings of hate or contempt; feelings of being inferior, of being disliked or rejected by others or of disliking yourself; feelings of great tension, irritability or excitability; persistent feelings of restlessness. Because the human mind is intimately connected with the body, one may have physical complaints for which the physician is unable to find an organic cause. Such symptoms are often of psychological origin and may indicate a need for psychotherapeutic help. Examples are sleeplessness, headaches, sexual difficulties and dysfunctions, heart palpitations, excessive perspiration, fatigue, and digestive problems such as frequent constipation, diarrhea and stomach pain. 2. How do I know what type of help I need? Many people try to select a form of psychotherapy merely on the basis of personal prejudice, hearsay or pressure from others. A better way of finding the type of psychotherapy most suitable for you is to consult an experienced professional who is fully acquainted with the wide range of existing psychotherapeutic techniques. Many psychotherapeutic organizations and clinics also offer diagnostic services; a competent professional interviews you to determine your psychotherapeutic requirements. Remember that any information you give a psychotherapist about yourself is strictly confidential. You should be as frank as possible in the diagnostic session to enable the interviewing psychotherapist to make a valid evaluation. Clinical experience, gained in 45 years of research at the American Mental Health Foundation, has shown that most people in need of professional assistance can benefit greatly from a form of group treatment known as intensive, extended psychodynamic group therapy. It is a unique treatment form that offers considerably more time each week than other types of group therapy. It also allows for the requisite attention to the needs of each individual. That is in sharp contrast to many types of group therapy that attempt to treat the group as a whole. Many people who had emotional disturbances that did not yield in intensive individual treatment have had positive results in such intensive, extended group therapy. group treatment would be beneficial to you. 3. What is the setting of the group? The group usually consists of eight or nine people, both men and women. Meetings last about three hours. Groups meet twice a week, once with the therapist and once without the therapist. The meetings that are held without the therapist, called alternate meetings, are extremely valuable since a person’s feelings and attitudes in the group usually vary considerably depending on the presence or absence of the therapist. The difference may provide clues to self-understanding. Furthermore, alternate meetings pave the way to self-assertion and emotional independence. Occasionally, private sessions may take place. The therapist suggests when an individual session would be of benefit to a particular group member. Individual sessions may be indicated when feelings of reluctance toward psychotherapy or the therapist are strong. Such feelings of resistance occur in all forms of valid psychotherapy. 4. Why is intensive, extended group therapy 50 effective? In a group the members work through their problems in a real situation of constant personal interaction. You will soon become aware of emotional difficulties in others. By understanding their feelings, you will gain insight into your own emotional problems and reactions. Your psychotherapeutic progress will be continually stimulated by observing and sharing in the reactions, experiences and achievements of other group members. Constant dynamic relations with the group will help you give up overdependency on the psychotherapist; such overdependency tends to prolong the process of recovery. Another important element is that extended group psychotherapy is relatively inexpensive. Thus anxiety caused by the financial burden of treatment tends to be minor. The many and varied interrelationships that take place in such groups are beneficial. If you see a therapist only for individual sessions, you can react merely to a single individual on whom you project emotional patterns established in childhood (transference). The emergence and understanding of those patterns and reactions are a prime factor in a successful treatment. Therefore, individual therapy alone might be restrictive since it cannot arouse the whole range of emotions buried deep within you. In group, however, the different personalities of the male and female members evoke a multitude of emotional reactions. They will help you understand your feelings, behavior patterns and conflicts. In the individual session the therapist is limited by the person’s subjective reports of incidents and emotional reactions to them. In the group situation, however, the therapist and the group can objectively detect the manner in which each person’s defensive and emotional patterns distort the perception of reality. Thus group members are helped gradually to achieve insight into their own deviations from objectivity. People who have undesirable personality traits and behavior patterns can be better helped to overcome those shortcomings in groups than in individual therapy. After all, the psychotherapist cannot point out such flaws to the patient since doing so might cause offense and harm the therapeutic relationship. However, through group interaction, undesirable characteristics often become apparent and group members can more freely point them out. The underlying causes can then be analyzed and worked through. Because the group situation is more like the world we live in than the sheltered protection of a private session, any emotion expressed and worked through in a group constitutes a direct step forward. Personality changes thus achieved tend to be more definite and permanent. 5. should I join a group even if I feel uneasy about it? If you feel that you will not be able to speak about your problems with a group of people, or if you dislike or fear people, you should remember that such feelings and fears are directly connected with your problems. You should work through your fears rather than avoid them. They will very likely diminish after a few group sessions. Some people have the erroneous impression that psychotherapy in groups—because it is less expensive—is more superficial than individual treatment. They may not want group sessions because they want to have the entire time and attention of the analyst or they may not want to be bothered with other people’s problems. In therapy, however, what seems to be more gratifying or less difficult is not necessarily what makes for the most effective treatment. In the extended group sessions you will have ample opportunity to express yourself, but, in fact, the effectiveness of a psychotherapeutic technique is not directly proportionate to the amount of words a person utters. Speaking about problems of which you are already aware is only of minor significance. Far more important is bringing into consciousness the intense emotions that have been repressed since childhood. Only when you become aware of them can you focus on them and deal with them. In the ever-changing group situation created by the expressions, behavior and interaction of the members, your deeper feelings will inevitably be elicited. Thus the success of therapy greatly depends on the extent to which repressed emotions are stimulated, brought to awareness, expressed and worked through. In the group you have an unusual opportunity to express your real thoughts and feelings. You need not force yourself to behave in any particular way. Some people participate actively from the beginning; others remain silent for a while. Whichever tendency you have, observe what the others do. Become aware of your feelings throughout the meetings. Watch for anticipatory feelings before the meetings and for reactions you have at any time afterwards. Sooner or later you will want to express those feelings in the group. If, however, you have difficulty verbalizing your feelings while you are experiencing them, you may be able to talk about them at subsequent meetings. Try to become aware of which feelings are difficult to express in the sessions with the therapist and which are difficult to express in the alternate sessions. If an inability to speak continues, it will be of value to express your feelings in an individual session with the analyst. At any rate, going to psychotherapy is not like going to your dentist—where the necessary work is done for you. In psychotherapy your efforts can greatly facilitate the endeavor, resulting in earlier and greater benefits to you—and thus reducing the total time and cost of treatment. The first phase in therapy includes the task of learning to identify feelings. As strange as it may seem, people are frequently unclear about what their real feelings are. Some may confuse them with opinions, values and intellectual concepts which are, more often than not, mere defenses against, and rationalizations of, their real feelings. Four to six weeks of sessions will pass before you become fully aware of what is going on in the group. As you participate more and more, you will begin to sense what the group and the therapist are working toward and you will gradually become emotionally involved. It is like watching people dance and then dancing yourself; only when you actively participate can you realize its essence. Be patient. The initial sessions may be difficult. You may resent or dislike some of the members and want to abandon the group. No matter how strong those feelings are, do not give in to them. Discussing them in the group or in an individual session will provide valuable material that may lead to deeper insight and self-understanding. You will notice that the group members do a number of things: speak about past and present experiences, problems, thoughts and fantasies that are emotionally important to them; speak about feelings experienced at previous meetings, between meetings and, particularly, during the present meeting; and state their feelings about each other and the therapist. Many of their emotions may appear irrational to you. However, you will soon realize that feelings have their own logic and the group’s tolerance of apparent irrationality will help you discover and express irrational feelings of your own. The group members also discuss dreams since they are a vital factor in understanding a person’s emotional problems and ways of dealing with them. If you feel that you want to hide some of your thoughts and actions from the group because they seem shocking, embarrassing or ridiculous, or because you do not want to hurt another member’s feelings or incur the dislike of anyone in the group, you should express your reluctance. The truthful expression of your feelings is absolutely necessary for your progress. A group meeting is not a customary social situation. Expressing your negative feelings here can help the other group members as well as yourself. If you repeatedly feel blocked in the group and unable to express yourself, or if your mind goes blank, your therapist may suggest that you prepare a mental list of emotional experiences, dreams and ideas that you previously experienced and that you intended to discuss but could not. If you go blank just the same, you might write the list down and refer to it in the group. However, spontaneous reaction will usually be of greater value than prepared material. As you gradually work through your tendency to block and find spontaneous expression easier, you will be able to dispense with such props. You asked for professional assistance because of your emotional problems, not because you wanted to engage in intellectual discussions. Intellectual understanding alone does not bring about lasting change. Deep emotional understanding and progress will come about only by turning your attention inward and becoming aware of your feelings and reactions that stem from childhood. Therefore, it is most important that you be attentive to your reactions arising in the group and try to understand the emotional forces at work. That may require some concentration and effort. The continued expression of emotions will provide a basis for the necessary therapeutic work that will follow by weakening the unconscious forces that have hidden the deeply repressed feelings and conflicts. As they gradually emerge, they will become more understandable and manageable. Some kinds of talk are fruitless in group therapy. First, intellectual discussions about abstract ideas and current events have no place here. This is not a high school debate. Second, try to avoid recounting outside situations. When you speak about your emotional reactions as they occur in the group, the therapist and your fellow group members can evaluate them and notice any distortions. But if you discuss at length your problems with your boss or your spouse, it is difficult to discern to what extent your report is emotionally colored. ‘Symptom talk’ is also of little value. For example, if there is a man in the group who feels inferior because of what he believes to be a physical shortcoming, it is certainly legitimate for him to speak of the problem—which quite possibly is what brought him to therapy. If, however, session after session he speaks only about the one problem and never goes deeper, the therapist and the group members must point out his single-minded focus and direct his effort toward the necessary group work. Doing so will break the vicious circle in which he was caught and help him gradually clarify the underlying emotional factors. Sometimes, a person may fail to understand the rationale of therapy or may resent the procedure. Such feelings should be expressed when they occur, rather than allowed to accumulate. At the same time, you should keep in mind that what happens in the group is not the result of arbitrary whims of the therapist. The therapist is forced to do, or not to do, what therapy requires. Though it may not be apparent, the group members have far more freedom of expression and action than the therapist does.